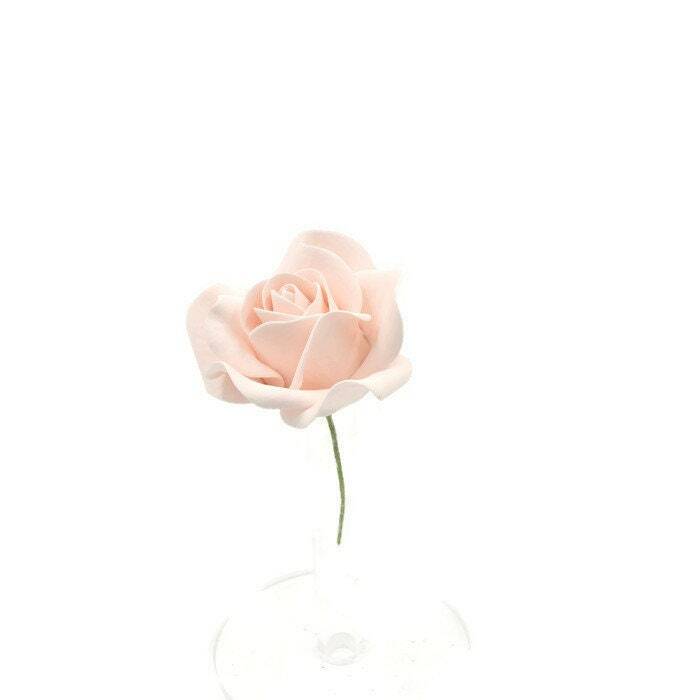 This 2.5" creamy blush pink rose sugar flower is a breathtaking decoration for your wedding cake topper. 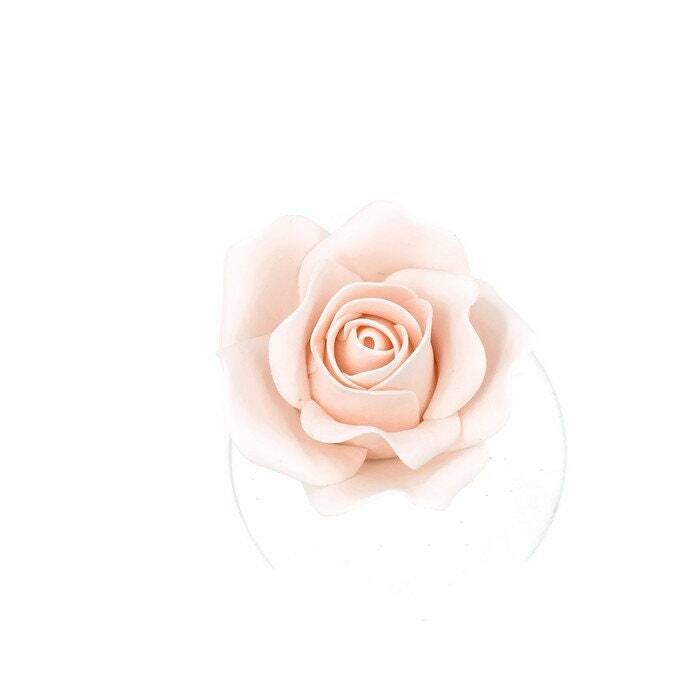 Gumpaste flowers are simple and easy ways to decorate a wedding cake, even though the life-like appearance of this white rose is anything but simple! 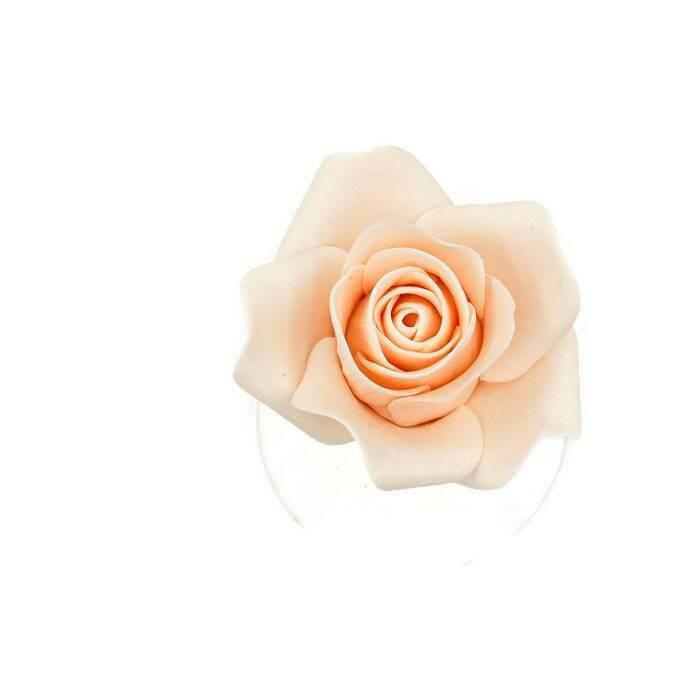 This sugar flower is made to order and has an 18g wire for easy handling. 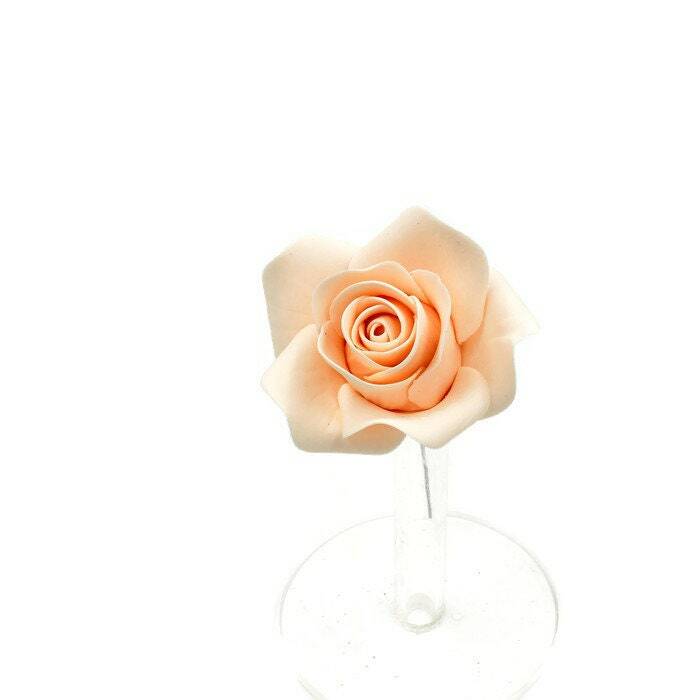 Gumpaste roses are classic and versatile. 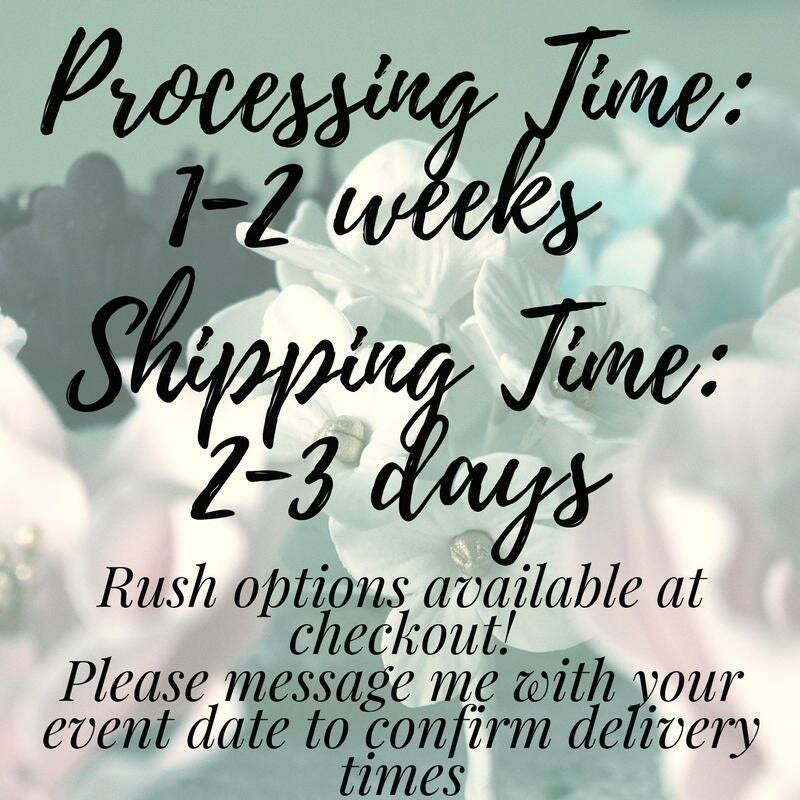 Dress up an elegant wedding cake with an all-white cascade of roes, or mix in with bridal favorites like peonies and ranunculus. 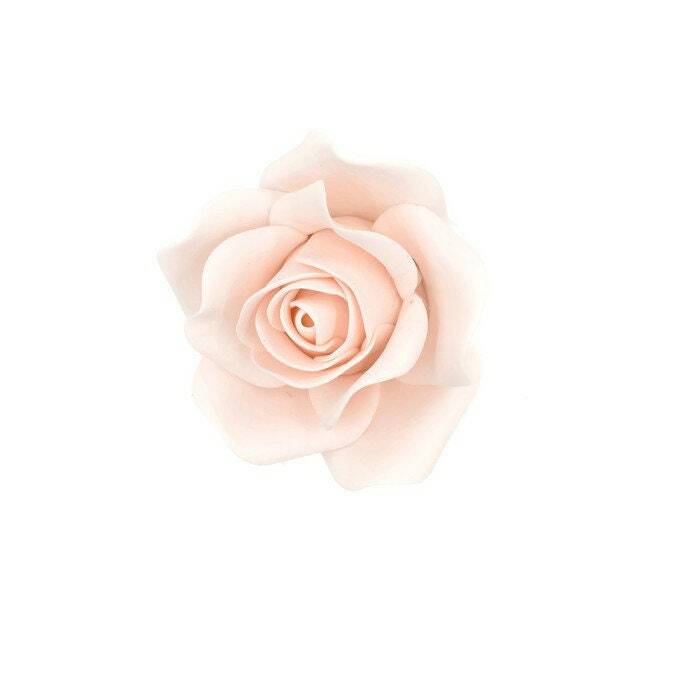 Each sugar flower order comes with a quick guide on how to care for and use sugar flowers. 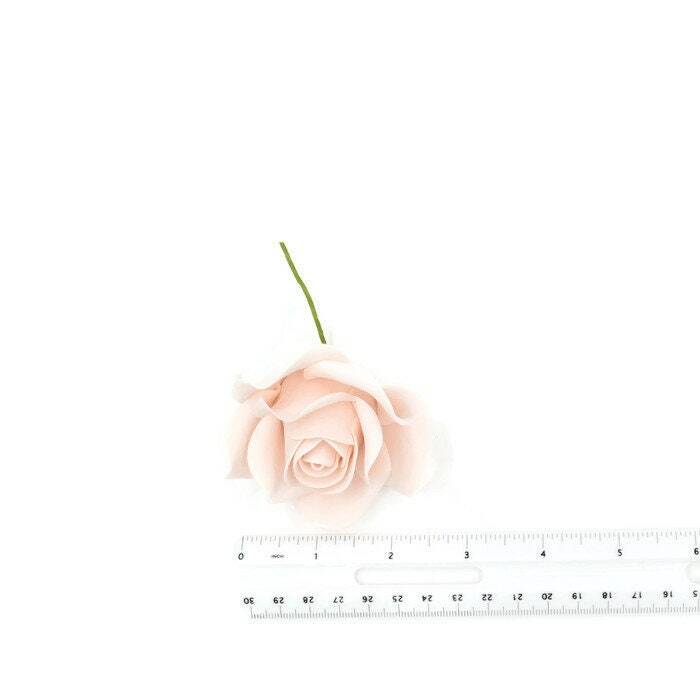 Sugar flowers have an extremely long shelf life if stored away from heat, light, and humidity, so you can order in advance and rest assured that your flowers still be as fresh and beautiful as the day you received them-- no wilting here!